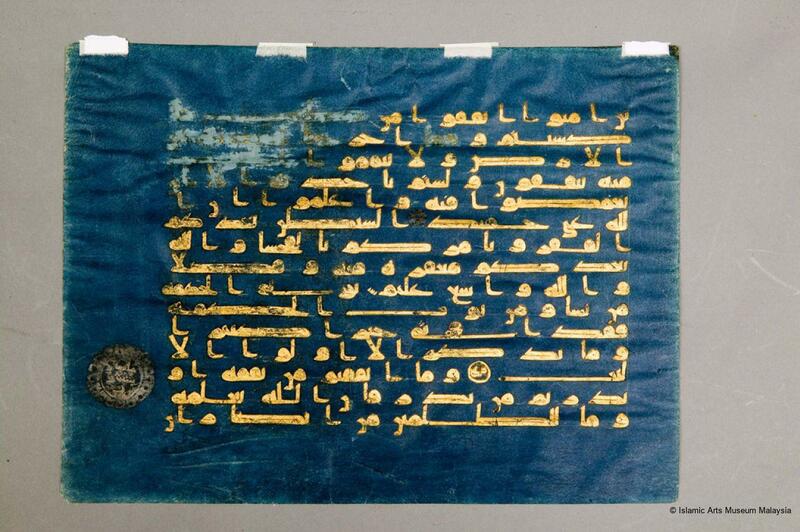 This is a fragment of one of the luxurious Qur’ans ever produced commonly identified as the Blue Qur’an. 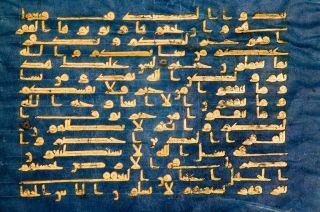 It contains verses 267-273 from Sura al-Baqara within 15 lines of kufic script in gold ink on indigo dyed-parchment. 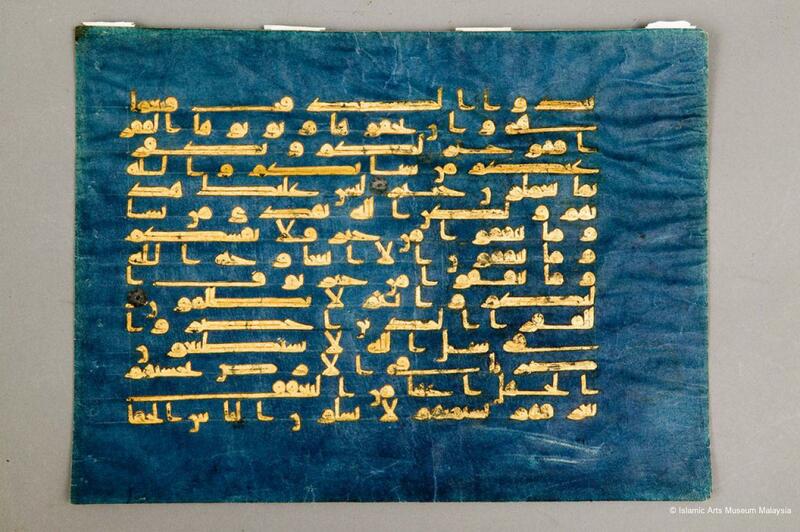 The extensive use of extended strokes is proof of the use of blunt point ruling of this leaf. 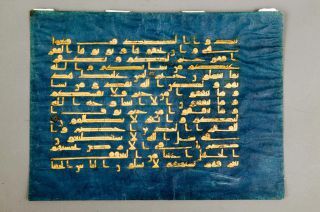 The calligraphic style of this leaf is characterised by the letter ha in the form of a semicircle resting on a vertical bar. There are no vocalisation marks above or below the vowels as well as no dots are visible to differentiate between letters of the same shape. 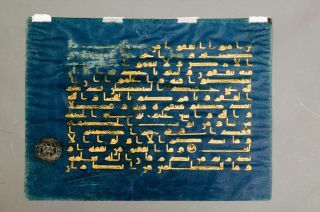 As with other leaves of the Blue Qur’an, ornamentation on this leaf is kept to a minimum, with silver rosette, slightly faded and oxidised, marking the end of each verse. 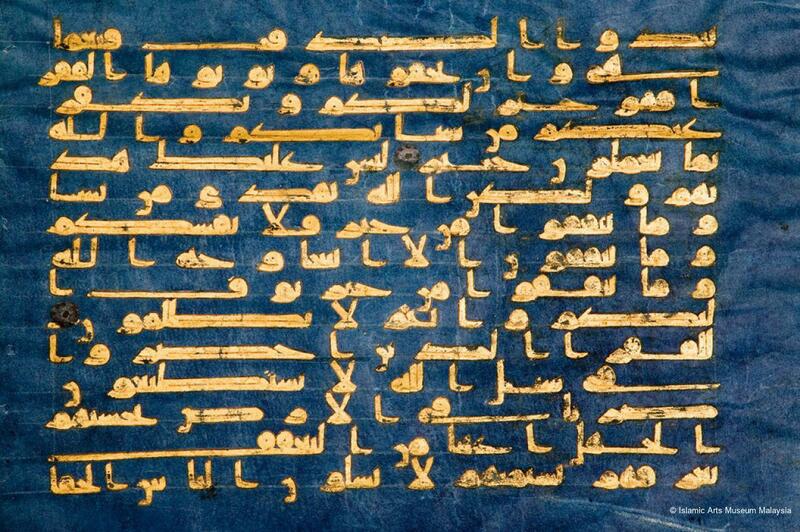 Meanwhile, groups of ten verses are marked by a seventeen silver petalled flower design with an inscription in the middle that spells out the number of that particular verse, as on the recto of this leaf it reads ‘seventy-two’.